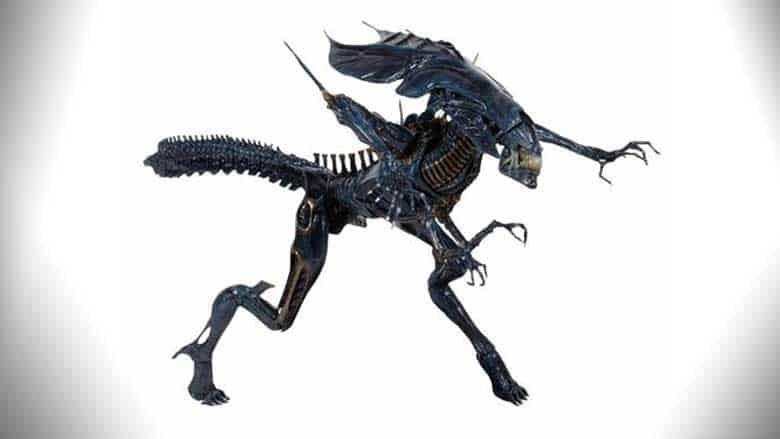 Aliens Xenomorph Queen Deluxe Action Figure | Nerd Much? In 1986, the story telling prowess of James Cameron brought us the action packed sci-fi Blockbuster Aliens. This sequel to the original Alien movie, released in 1979, took the sci-fi creature feature genre by storm. Cameron’s use of special effects (rear projection, miniature usage, beam and camera splitters among others) brought the film industry to a higher level of standards when it came to visual and sound effects. Decades later, amid a plethora of visually stunning sci-fi releases, using CGI and other state of the art VFX, Aliens still ranks with an impressive 8.2 stars on IMDB. So maybe you are a die-hard fan of the movie, or an avid action figure collector; maybe you are just looking for the perfect gift for that special someone, or the perfect addition to your office; well, look no further than this Aliens Xenomorph Queen Deluxe Action Figure. In April 2018, just in time for Mother’s Day, we are gifted with the release of the ever-elusive Aliens Xenomorph Queen Ultra Deluxe Action Figure. Nothing says “I love you, Mom” like the gift of the terrifying Alien queen, complete with 30 points of articulation and two interchangeable inner mouths. Measuring a whopping 30-inches long by 15-inches tall, this figure will tower over others in the 7-inch model scale. Is your mom looking for more of an activity than a gift? Well, why not try your hand at your own stop motion short featuring this daunting mother of all “face-huggers”; after all, it was Cameron’s use of models and miniatures that helped create the stunning effects that took home the Academy Award for visual effects. If you are in need of some creative inspiration, check out this stop motion creation over on Youtube. While this Xenomorph Queen does not require the astounding 18 puppeteers, hydraulics and crane necessary to bring the original theatrical version to life, this is still not recommended for children (ages 17+). So this Mother’s Day, grab your own badass mom this figure. Buy the Aliens Xenomorph Queen Ultra-Deluxe here.